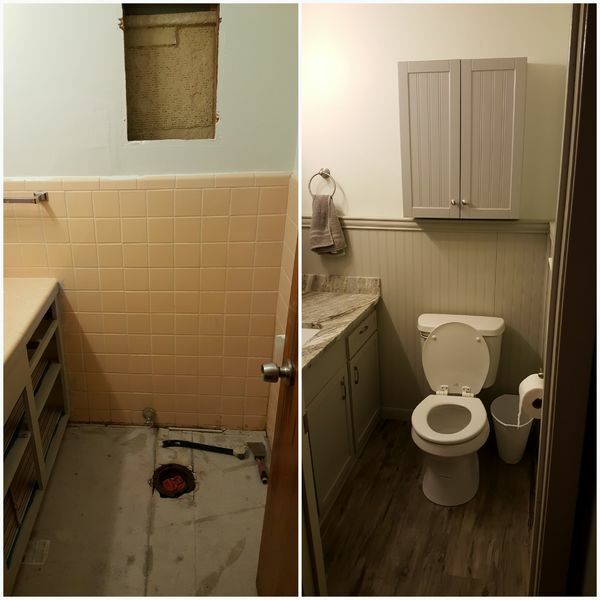 College rental turned first home as a newlywed. Projects around the house have been a blast over the years and space is tight. To make the most of things we wanted to cover the 60 year old tiles, as they were dated. Now the wife and I get a great room to start the day and work on being presentable for work. A workshop none the less! 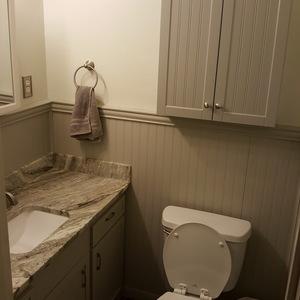 WAINSCOTING, WOOD TRIM, COUNTER TOP, SINK, FAUCET, PAINT, DRILL BITS, SCREWS, NAILS, BATHROOM FIXTURES, AND CAULK. Awesome re-do! 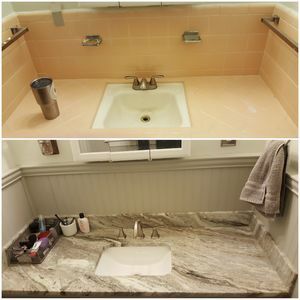 Did you cover all of the tile or also rip some out?